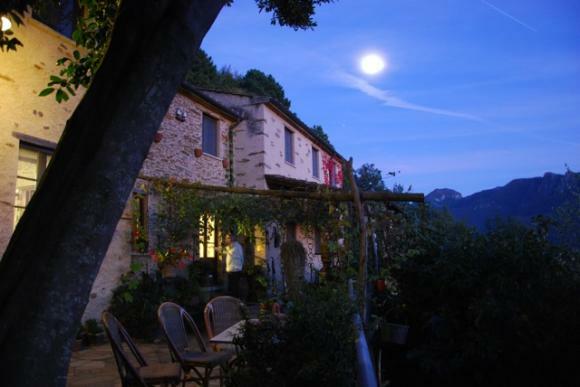 Agriturismo Biologico"IL PARADISO" Seravezza DESCRIPTION "Paradise"
"STAY AND EAT IN HEAVEN DIVINE ...."
FOR DISCOVERING ANCIENT AND GENUINE TASTE OF TUSCANY ......... Enjoy the VERSILIA AND ITS FROM SEA! 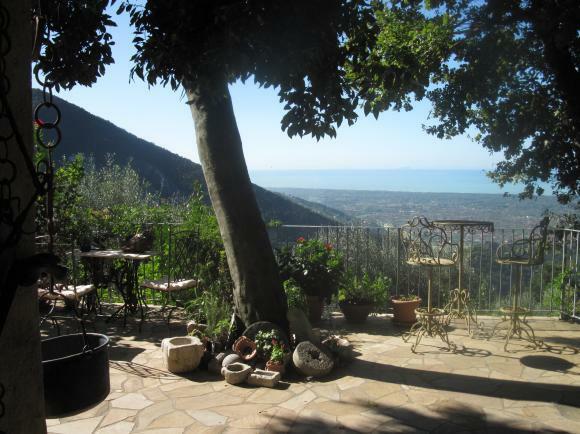 ORGANIC FARM "PARADISE" in Versilia (TUSCANY) LUCCA, a few miles from the sea of ​​which there is a beautiful view, and the Park of the Tuscan Alps Apuane.Casa restored using traditional materials and antique-furnished rooms with antique furniture with a view sea. The house has been carefully restored using materials such as old chestnut wood, stone and terracotta maintaining the characteristics of the farm house. All rooms are furnished with antique Tuscan furniture. 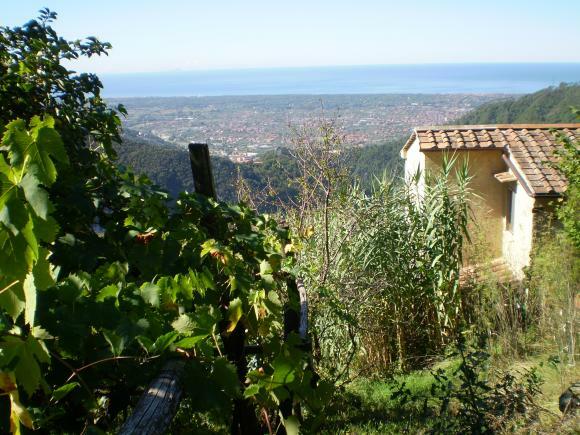 The farm is cultivated grapes, olives, lemons, vegetables, fruit and all organically farmed rabbits, chickens, turkeys, calves and pigs bred "Cinta Senese". Specialties: Adriana's kitchen with typical local dishes.